Take YOUR Video Production to the Next Level – Make it a Masterpiece! Make Your Broadcast Video Production a Masterpiece! How to harness the outstanding picture of your DSLR for high quality video recording! How to give your tape camera a new lease of live in a modern video production. How to utilise hi tech tools to monitor colours, exposure and focus during video filming. How to overcome the limitations of memory cards and video compression formats. How to improve and optimise the workflow from scene to post production. How to drastically cut the cost of recording time on location. New technology and methods has made it possible to produce Hi quality film on a small budget. Why DSLR cameras taking over the video capture and fading out the traditional camcorder. First of all, they have the reputation high quality picture acquisition. Large lenses and sensors have not only advantages in low light conditions. They give the user more creative and artistic options with the different aperture, ISO and shutter settings. 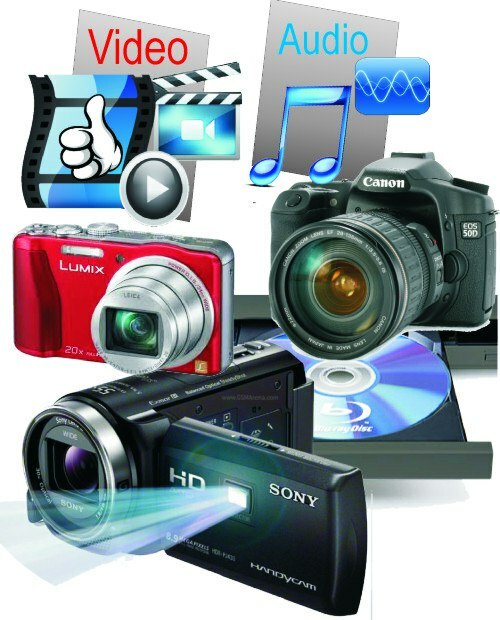 Inbuilt memory cards with MPEG compression is not a format for professional video editing as they provide only limited capacity for video recording. Eye viewer and LCD screen on the back of the camera work perfectly for taking still pictures, however the screen is too small and doesn’t has the features to judge optimal focus, colours and exposure. The inbuilt microphones often pick up camera handling noise and are too far from the action. Perfect capture Record direct from the sensor with crisp, super smooth monitoring and playback. Sharp, Bright Deep Colours just like your Phone and Tablet. Optimal processing and storage Cut and tag editing. Unbelievably low power consumption and affordable 2.5” HDD or SSD recording. Ideal output Apple ProRes, Avid DNxHD,Uncompressed 8/10-bit. Compatible with all major NLEs with no transcocding required. Optimise Workflow from Capture to Final Production!